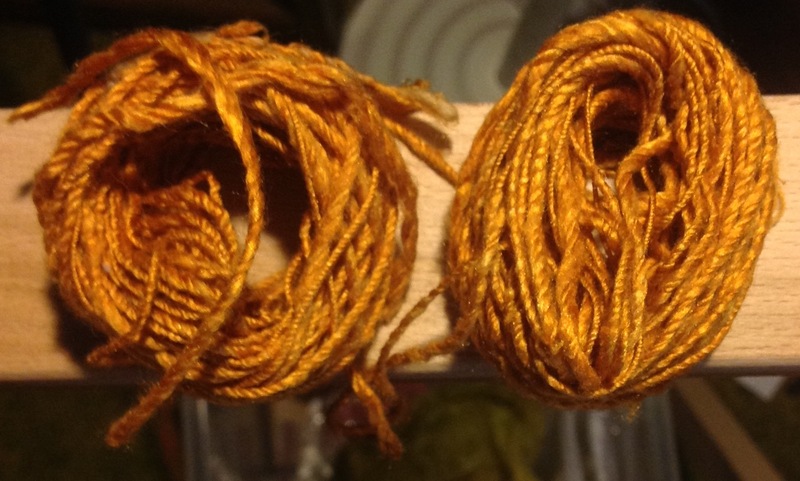 These are my plied gold silk. Two ply, since there was a flaw in the plying I cut it out and formed two small balls. No plans right now for a project. Created September 2015, 100% Silk.